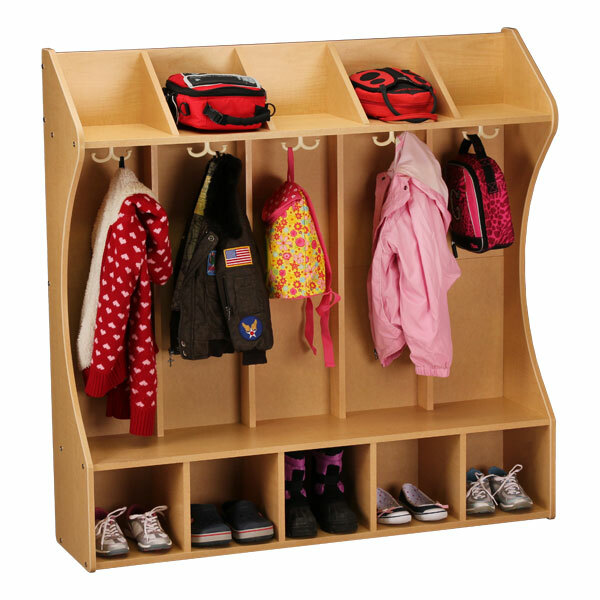 Cubby — Cubbies provide plenty of space for all of your students to store backpacks, shoes, lunches, homework and more. They have smaller openings than lockers, and are better suited for smaller items. Many cubbies fit tubs for efficient organization. Locker — Lockers have taller openings than cubbies, and some feature doors for added security and privacy. They allow students to store larger personal items such as coats, books or big backpacks. Some include coat hooks, cubby openings and space for tubs. Paper Storage — Paper storage units are perfect for storing classroom paper supplies or for organizing homework assignments. They have shallow openings and slots the perfect size for sheets of paper. Add bins and tubs for additional organization. Cubby units and some lockers are available with plastic storage tubs. Open cubbies are great for storing books and large toys. 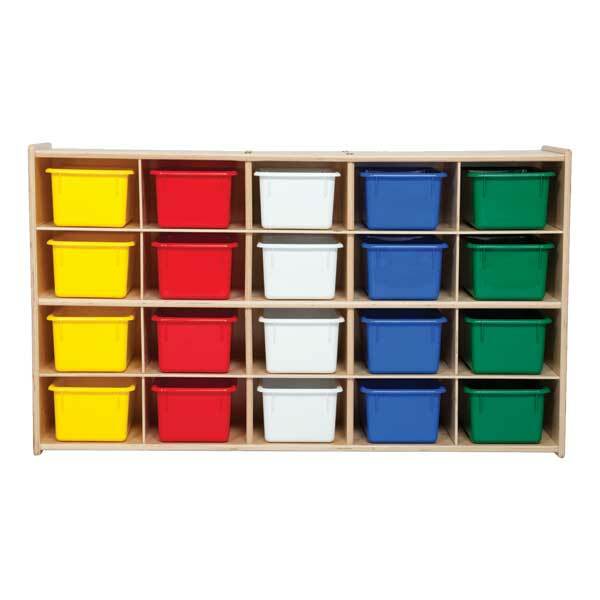 However, colored or clear tubs can help keep clutter to a minimum, and labeling tubs gives supplies a designated spot. Clear tubs let you keep an eye on materials. Remember, you can always purchase additional tubs separately. Some cubby units have smaller, tray-sized openings that work great as assignment bins and are a convenient place to keep notebooks and homework. Many units have larger openings better suited for bulkier supplies or storage tubs. Lockers have tall openings perfect for storing your students' belongings. Will you be providing each student with an individual cubby or locker, or will you be storing shared classroom materials? If each child will be responsible his or her own cubby or locker, make sure the unit has enough openings. You may want extras in case your class size increases. You'll find cubbies with anywhere from eight to 30 cubbies, and lockers with five or more openings. Cubbies and lockers are made to stand up to years of use. Some feature birch plywood construction with a laminate finish, while others feature thermofused laminate. Birch units usually have a neutral-looking finish, and laminate units come with bright accent colors. Both are quite durable, so it's often a question of aesthetics. Make sure to look for a cubby unit with safe, rounded edges. 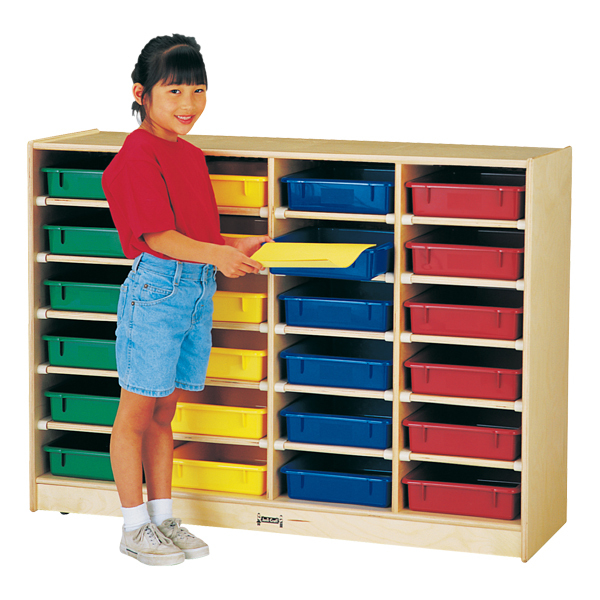 Click here to shop for a cubby unit for your early learning classroom. Or, call 1-800-260-2776 if you prefer to order by phone. Our friendly sales team is happy to help.